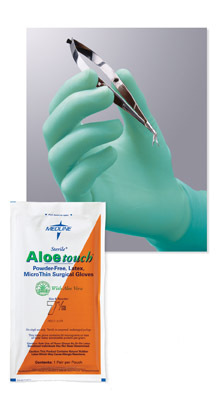 These powder-free latex gloves provide extra protection without sacrificing fit, feel and comfort. Reinforced beaded cuff design helps prevent rolling or tearing. The gloves are 20% thinner in the fingertip than standard gloves to provide extra tactile sensitivity.